I’m officially no longer postpartum. Apparently that ends with the 6 week post-delivery visit. I’m also officially not going to be running for a while because I finally had an MRI and found that I do indeed have a bad case of plantar fasciitis and also a touch of tendonitis in my left foot. My podiatrist suggested that I quit walking and focus on swimming and biking. Yeah, right. When my first son was born we walked for hours every day and it kept me sane. It was also an easy way to get him to nap. In the early days there wasn’t much else I could comfortably do and I’d read on the blog of a triathlete come mother-of-twins that the best advice she’d been given in the beginning was to get her boys and herself outside every day. That became my mantra. I gradually added back in running, then running with Baby A once he was big enough, then swimming and spin classes once he was old enough to be left at the Y childcare, then eventually the occasional bike ride when I had a sitter or my husband was home. That was the progression, but first there was walking. This time my life it busier with a three year old and new baby, but my older son is either in school or happy to ride his scooter alongside me and the stroller, so we are once again walking. 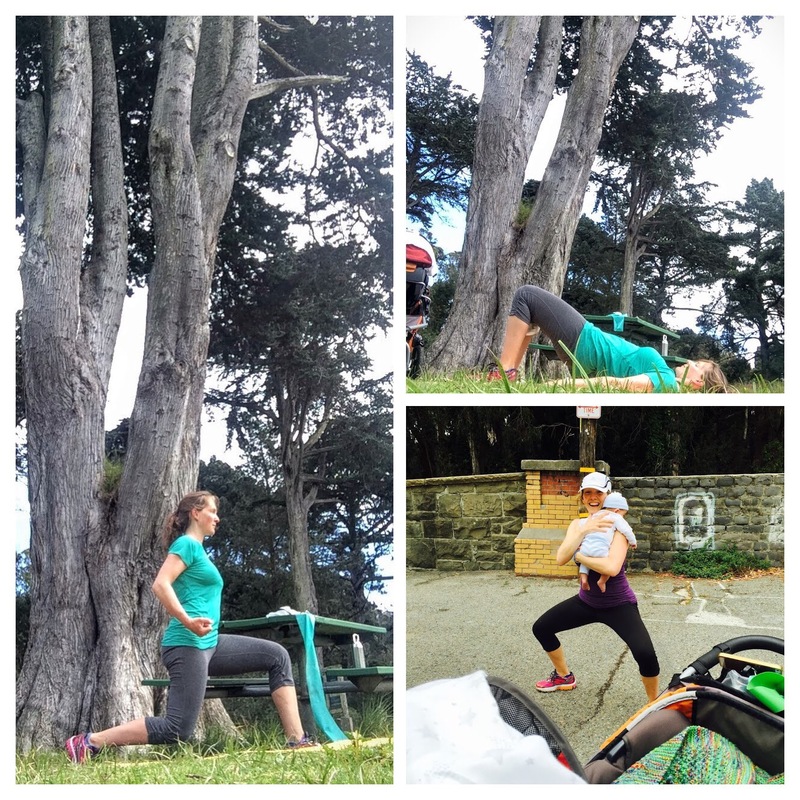 I’ve also added an amazing program I came across when researching how to heal a diastasis recti, the gap that often happens during pregnancy between the two sides of the rectus abdominus muscle. The MuTu System is “the complete body make-over for moms who want to shift the mummy tummy, heal their core and pelvic floor and get strong, fit and truly body confident inside & out.” Sounds remarkable, right? So far I’m finding that it is. I’m on week three of the program and am taking my time, stretching each week’s program longer than a week and not beating myself up if I miss a day. I’m making an effort to do my core work every evening and had cleaned up my diet until I discovered the insanely delicious chocolate almond croissant at my neighborhood’s new Arsicault Bakery. I feel incredibly good, both physically and mentally, and I think my body is pulling itself back together even faster than it did the first time!